Mr. Donnellan is a member of the firm’s Executive Committee and the Managing Partner of DelBello Donnellan Weingarten Wise & Wiederkehr. In addition to managing the firm, Mr. Donnellan focuses his practice on complex commercial litigation and real estate development with an emphasis on large scale urban renewal redevelopment projects. He represents clients in connection with the acquisition, development, financing and disposition of all types of real estate including office, residential, hotel, condominium and retail, as well as public and private partnerships. He has acted as lead counsel in connection with some of the largest and most complex real estate projects in Westchester. 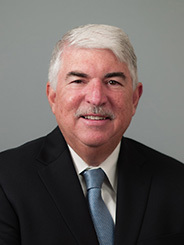 Mr. Donnellan is Chairman of the Board of Visitors of Pace University School of Law. He is also President of Legal Services of the Hudson Valley, a not for profit organization that provides free civil legal services for low income individuals.